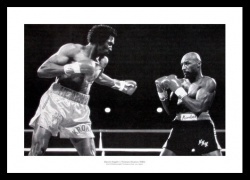 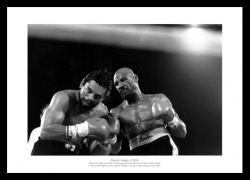 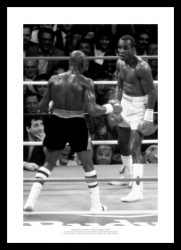 One of the greatest heavyweight contests. 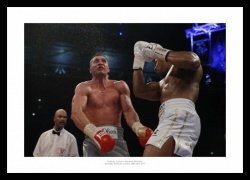 One of the great fights of recent times. 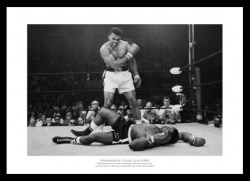 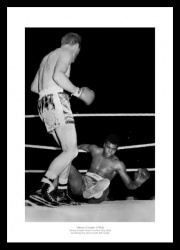 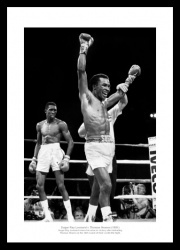 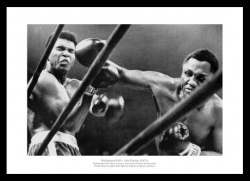 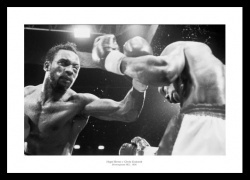 Copper stuns Ali with a knock down punch. 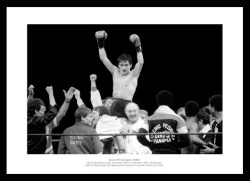 McGuigan celebrates becoming world champion. 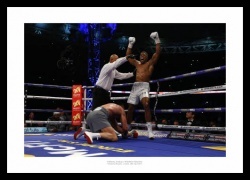 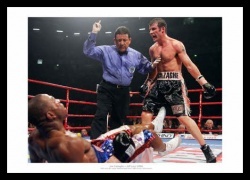 Joe Calzaghe stands over Jeff Lacey. 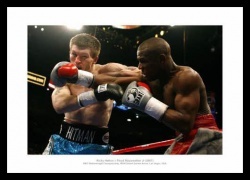 Hatton gets caught by a Mayweather punch. 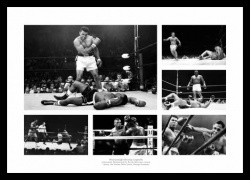 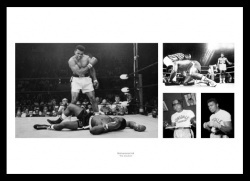 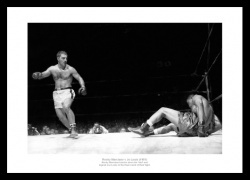 Marciano knocks down his idol. 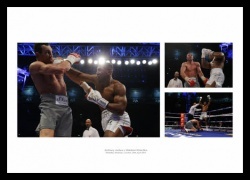 Tyson Fury's first fight with Klitschko. 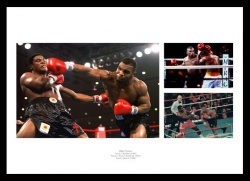 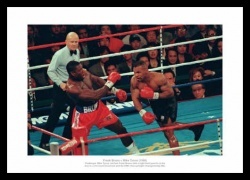 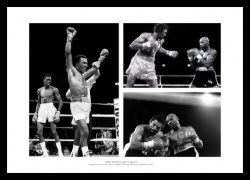 Three photos of Tyson at his peak.